Shopping for Super Mario Bros. Pint Glasses? Drink up with Mario brothers! 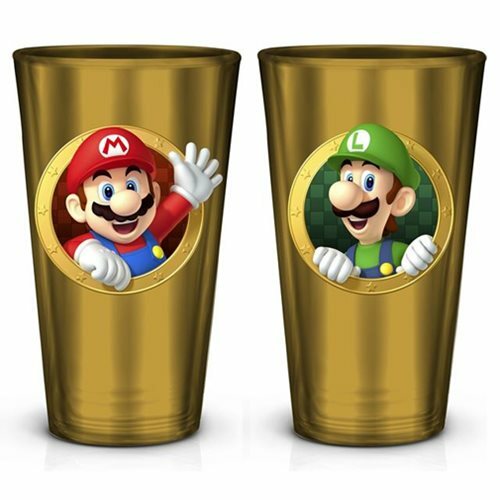 This Super Mario Bros. Mario and Luigi Pint Glass features the Mario on one side and Luigi on the other. Holds up to 16 ounces of liquid and measures about 6-inches tall. Hand wash only. Not dishwasher safe. Do not microwave. Ages 14 and up.